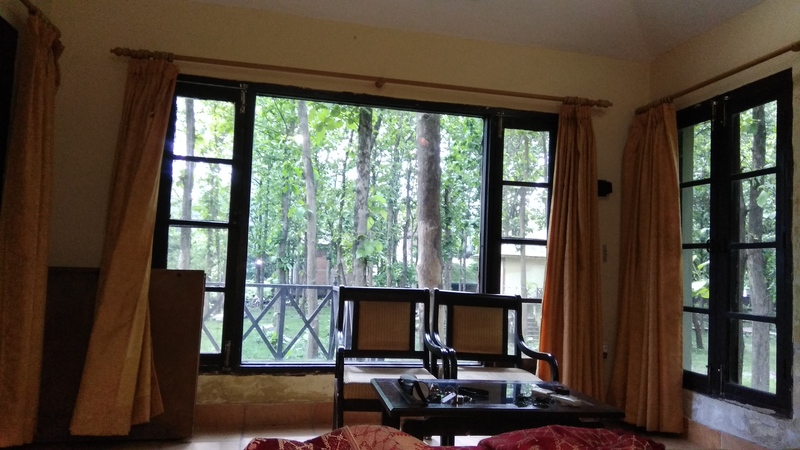 Jim Corbett National Park, which is a part of the larger Corbett Tiger Reserve, a Project Tiger Reserve lies in the Nainital district of Uttarakhand. 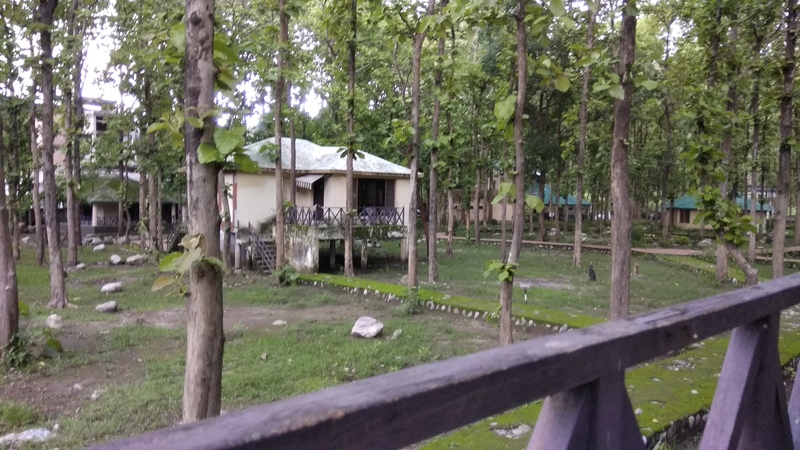 The magical landscape of Corbett is well known and fabled for its tiger richness. 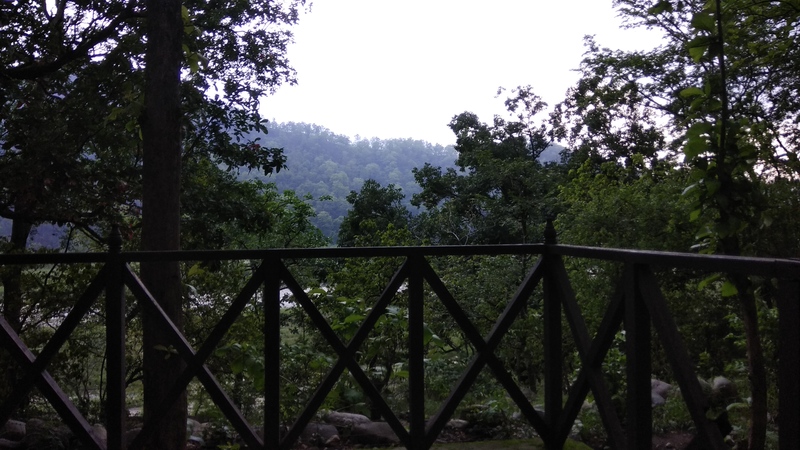 Established in the year 1936 as Hailey National Park, Corbett has the glory of being India’s oldest and most prestigious National Park. This was the cottage given by Taj nearby. Their tariff was 4 times over what was charged for above cottage. We declined because it was stinky of dampness even though no dampness was visible. It had no view from the window. In fact in all cottages windows were facing walls if other cottages. Who was their architect? But most rather all the other Hotels had same problem. Great rooms with amenities but no view. Perhaps they expect honeymooners only. How to reach to this place? 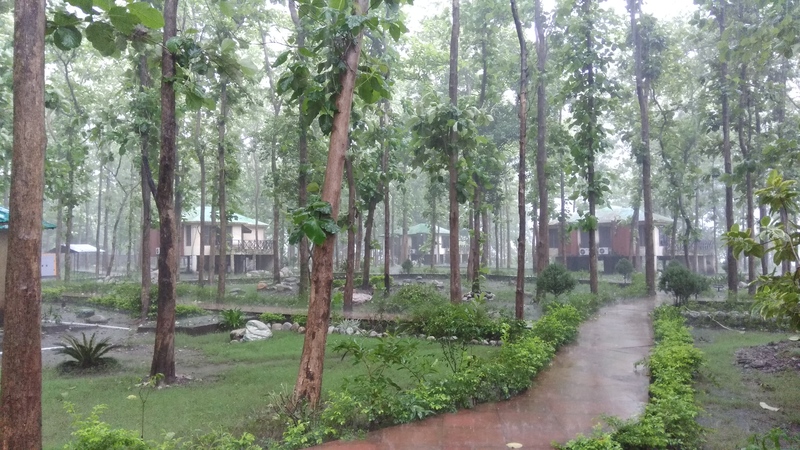 Kumaun Mandal Vikas Nigam Tourist Resort. This is how it appears on Google earth. 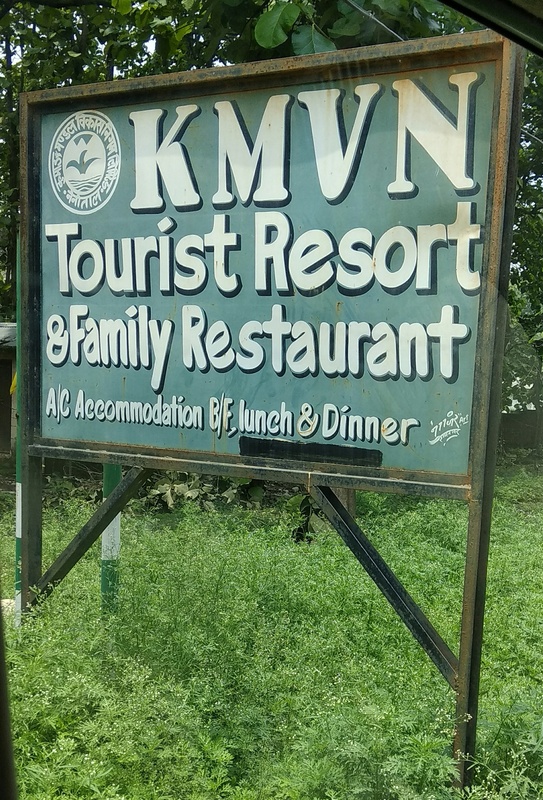 The phone number of this tourist lodge is 05947-287851. 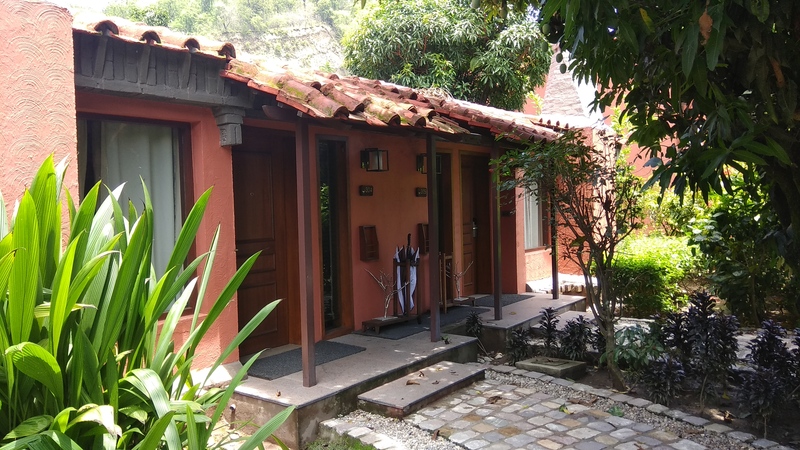 A caution: The accommodation is comparable to Government Circuit House. Food is simple. 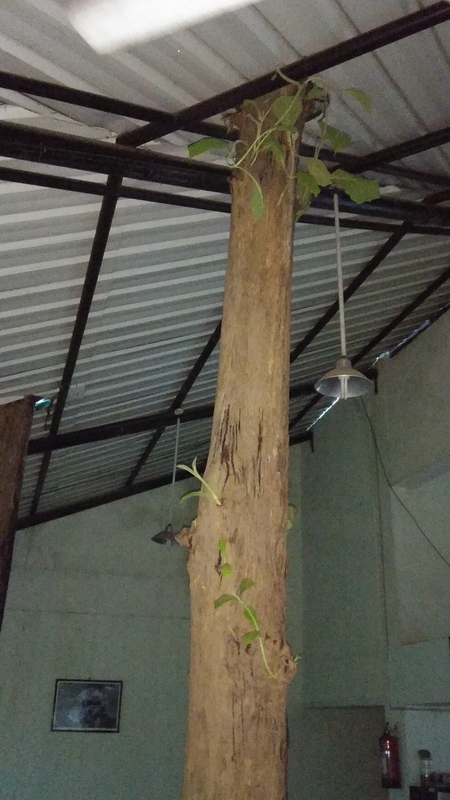 Air-conditioning and hot water in attached bathroom, is readily available but no TV or Bath-Tub or swimming pool. Will recommend to carry own shampoo. 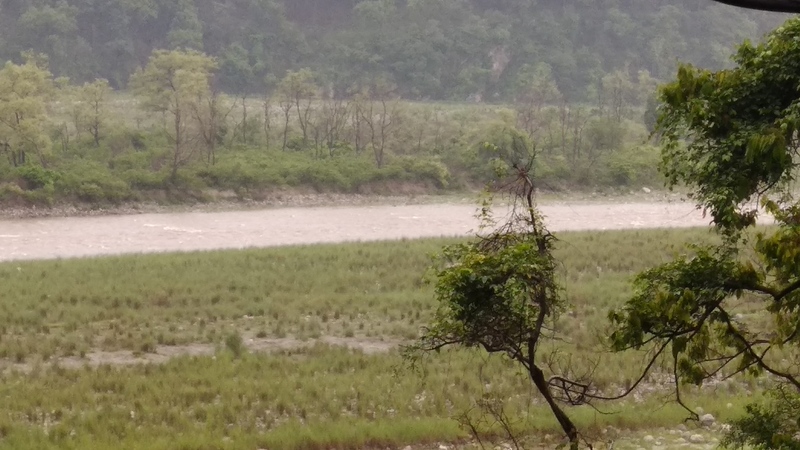 In both the pictures below, the water is flowing over the motorable road and depicts the reason why it is closed in the rains when many road are inundated with water flow. This entry was posted in Travel and tagged Jim Corbet, Places to visit, Staying inside Jim Corbet. Bookmark the permalink.